Soil is a particulate or granular material. 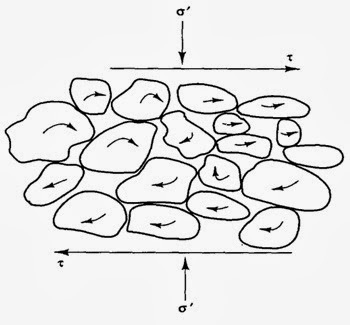 When a soil mass beneath foundation is subjected to excessive deformation, these particles allow rolling, sliding or rearrangement to some extent. In simple word shearing is happened. This capability of sliding to support a structure, its own weight (overburden pressure) and sustaining a slope is known as shear strength. This definition is for understanding the term shear strength easily; in engineering expression, shear strength is ultimate or maximum shear stress which a soil mass can sustain and this strength is always related to surface or plane of rupture. In this blog our attempt is to simplify all civil engineering terms to understand easily. The shear strength that we are discussing can be measured both in laboratory or filed. In determining shear strength several factor have to be considered and strength value for different factor will be definitely different. We will discuss each test method according to respective standard. a. 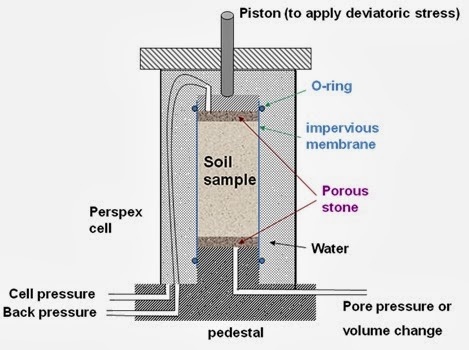 Soil is naturally a heterogeneous material and it is very rare to deal with a foundation that is supported on homogeneous soil.